Music Producer Michael Knox has opened Music Knox Records in conjunction with BMG. Through the new label imprint, Knox will focus on developing new artists, though no signing announcements have been made as of yet. 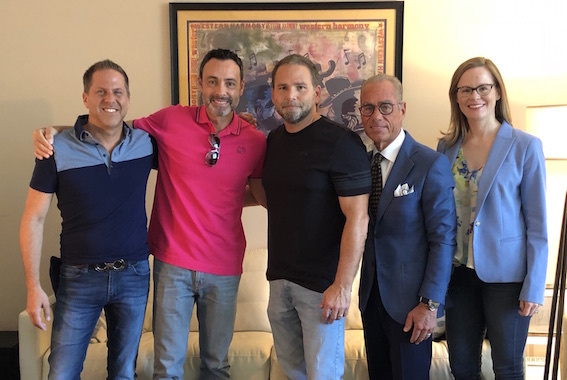 Knox will also continue in his role as VP for peermusic Nashville. Knox has 21 No. 1 hits, over 40 million singles and 18 million albums sold throughout his career as a producer. Knox is best known for discovering Aldean in 1998 and subsequently serving as the producer behind each of Aldean’s albums. His production credits include work with Michael Tyler and music featured on the hit ABC television series Nashville, as well as his father, Buddy Knox, among others. The venture follows the announcement of Knox’s radio show, Knox Country 360. « Are Institutional Investors The Future Of The Music Business?